The remote origin of the Province is blended with the one of the Institute which was born in France. During the life of the Founder, and after his death until the expulsion of the Brothers in 1903, in France they were opened more than 200 houses, some of them with a short life. Their existence was linked to the parish service which sometimes was of brief duration. In 1903 the Brothers are expelled from France. They find refuge in Tunisia (1902-1921), in Italy (1903 …) and soon after in Spain (1909 …). The General Administration was moved to Villa Brea (Chieri-Turin). 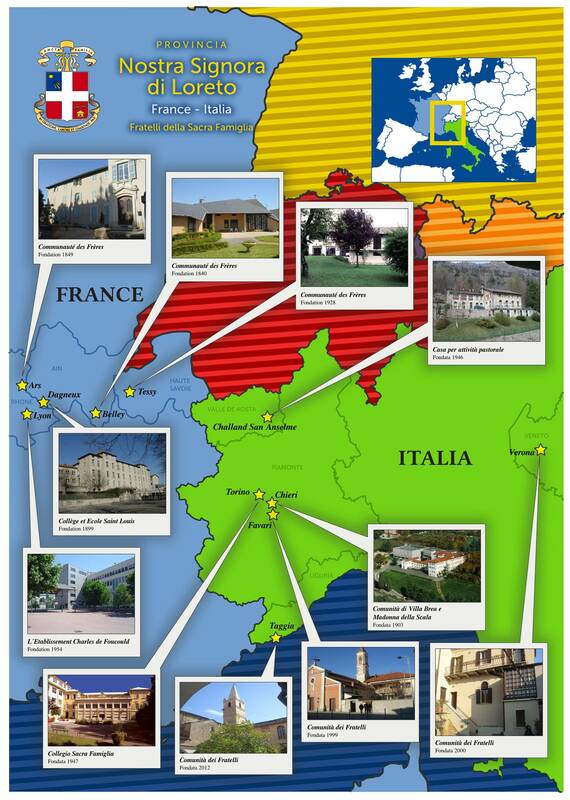 In Villa Brea it is opened an Aspirancy and Postulancy for the youth coming from France, and the Novitiate with young from France, to which they join young coming from Spain, and from 1929 also from Italy. In 1923 the Institute is subdivided in two Provinces: The Province of Europe and the Province of South America. In 1939 the historical events and the imminence of the World War II oblige the General Administration to come back to Belley. 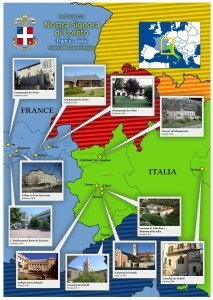 In France it is opened the Aspirancy of Tessy and the Novitiate of Belley. In 1947 in Europe the Brothers are subdivided in two groups: the Province of France-Italy and the Vice-Province of Spain. In 1959 there is a new organization: The Province of France with the name of “Sacré-Cœur”, the Vice-Province of Italy with the name of “Madonna di Loreto” and the Province of Spain with the name of “Nuestra Señora de la Asunción”. In the period preceding the Vatican Council II in France and Italy the vocations allowed to look with confidence the future of the two Provinces. In the post-Council the number of vocations starts diminishing, first in France and later on in Italy. In 1983 the General Council asks the Provinces to open houses outside their usual territory. To France is entrusted the mission of Alto Volta (today Burkina Faso) with the collaboration of Brothers from France, Italy and Spain. The Province of Italy opens and founds in Mexico in 1987 the first community. ;At present the decrease of the vocations in France, in Italy and the little growth in Mexico have led to a reduction of personnel, so that, in August 2010 the Province of Sacred Heart and Our Lady of Loreto have joined under the patronage of Our Lady of Loreto. The election of the patronage is due to the great meaning the Sanctuary of Loreto has for the Institute. The growth of the age of the Brothers and the real reduction of the personnel in the mission of the Province oblige to re-consider the meaning of the presence, the work and the testimony of the Brothers in France, Italy and Mexico. In France, there are the roots of our Institute. For that, in Belley it is the “Mother House”, and the whole Institute is invited to collaborate to maintain it alive and meaningful. Ars is another centre full of history and presence for the Institute. For this house, the help of collaboration of the Brothers of Burkina Faso is requested. Villa Brea, significant for the Province and for the Institute, is being reorganized. In Mexico there is a great effort in the work of apostolate and in the vocation promotion. We do not know what the Providence is reserving for us, but where we are, we know that we have to be the seed of a new life. 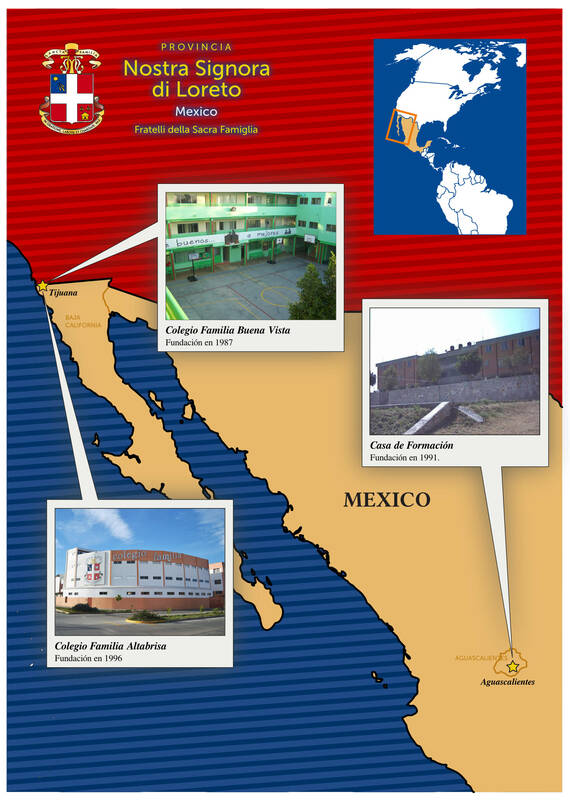 The apostolic activity in the Province finds its major expression in the field of the education in the school, such as the educational centres of Tijuana, Lyon, Dagneux and Turin. There are also several Brothers who work in education but in external ambiences and works. It is sought a growing collaboration with the lay people. It is very important considered the missionary activity and the liturgical and spiritual animation. Despite the limitation of the personnel, the presence of the Brothers in the Church is acknowledged as useful and valid. * Belley Founded in 1840 House of Retreat. “Gabriel Taborin House”: Welcoming to people, groups… who wish to know our venerable Founder. * Ars Founded in 1849 Animation of the Sanctuary, welcome and animation of groups of pilgrims. * Dagneux: Founded in 1899 “Saint Louis Institution”. Education. Pastoral activities. * Tessy Founded in 1928 Activity of parish pastoral and social activities with immigrants. * Lyon Founded in 1954 “Educational Complex Charles de Foucauld”. Under the ownership of the Brothers of the Holy Family. Educational and pastoral activities. * Villa Brea (Chieri – Turin) Founded in 1903 Provincial House. Missionary Group. Gymnastic centre. Welcoming of groups. Relics of the Holy Priest of Ars. * Turin Founded in 1946 “Holy Family School”: Education. Pastoral activity. * Favari (Turin) Founded in 1998 Parish Activity. * Taggia (Liguria) Founded in 2012 Parish Activity. * Verona Founded in 2003 Parish Activity and Theological formation. 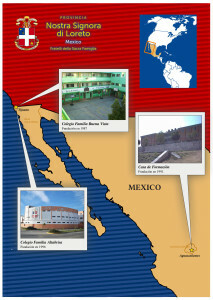 * Tijuana Founded in 1987 “Holy Family School” : Education. Pastoral activities. * Aguascalientes Founded in 1991 Formation House.Religious teaching.